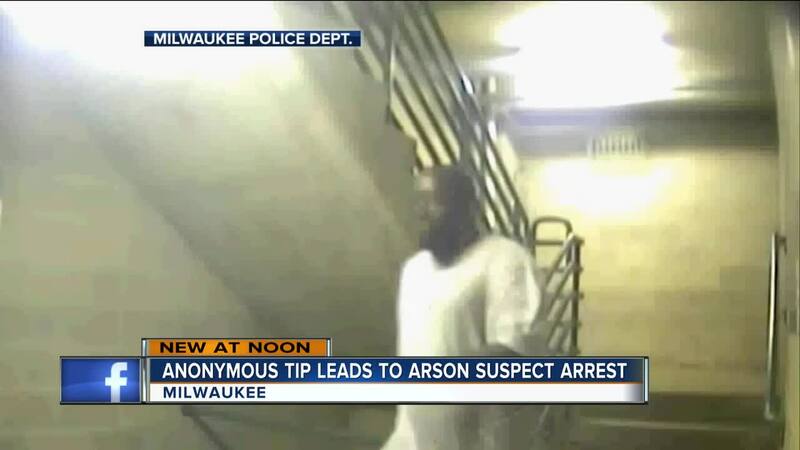 MILWAUKEE -- Due to an anonymous tip from a citizen, the Milwaukee Police Department was able to arrest a suspect who committed arson on a vehicle in the city's Third Ward earlier this month. The incident occurred on July 5 in the 200 block of E. Chicago Street. The suspect ran up to the third floor of a parking structure and poured gasoline on the vehicle. Surveillance cameras caught the whole incident. Charges are still being referred to the District Attorney's Office.